I hope you've been enjoying this series of wedding posts from Appalroot Farm! I've had a lot of fun sharing them...so before I move on to other subjects, I've got one more for you. And, oh, this one just happens to be my favorite! 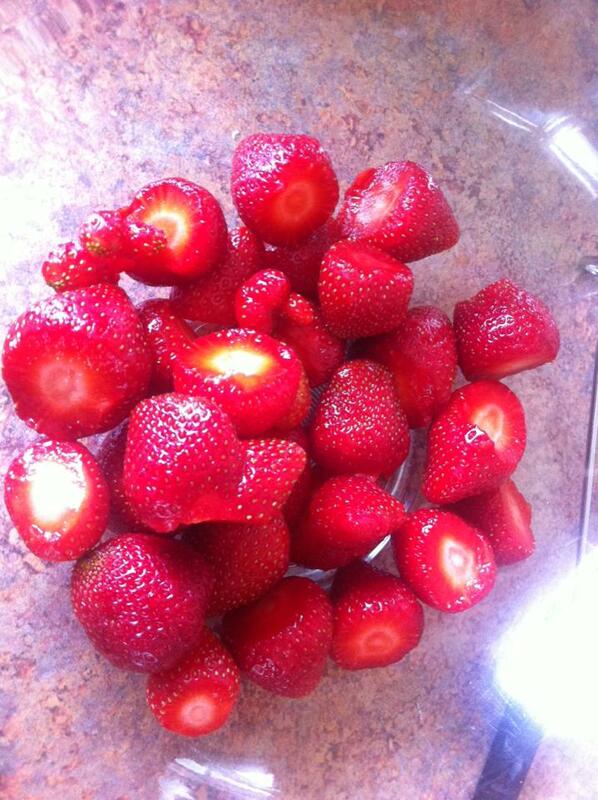 When I was a little girl, my mamaw raised strawberries. Her patch was tucked off to one side of my grandparents' large garden, nestled at the base of bank which sloped down from a little "laneless" road that wove its way right through their hundred acre corner of Eastern Kentucky beauty. Mamaw's strawberry patch was at the base of this road bank. Strawberries were my favorite, so if she was picking the juicy red fruits while we were down for a visit, I would eventually find myself there too. I could never resist attempting to pick and taste test one of the deep red berries straight from the patch. But...it was such a lesson in patience for an impatient little girl because these weren't a sweet variety of strawberry! They were pretty tart! 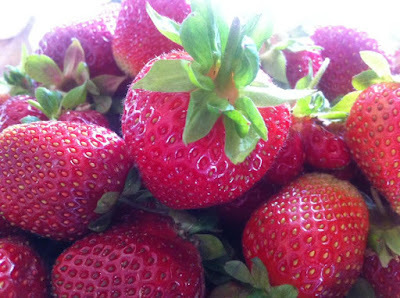 Now most store strawberries are of a sweet variety, but they are also often just a shipping berry...very firm, large in size, but sometimes as flavorless as a chewed stick of gum! 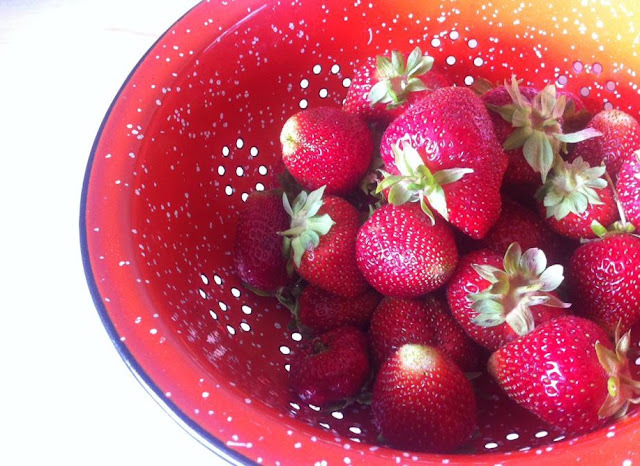 But Mamaw's strawberries, while a little sour, were small, juicy, deep red, and full of the most wonderful and rich strawberry flavor you could ever imagine. And as far as the sour taste...as long as I could muster a little patience, my mamaw had that issue well under control. Fresh after picking, long before the amazing flavors lent to them by the deep mountain soils could disappear...Mamaw would hurry her little crop out of the garden, past the chicken house, through the barn hall, past the old coal shed, and down the narrow walk to the back porch door, and directly into her little farmhouse kitchen. She'd wash and hull the little red treasures, and perform what I thought was pure magic...transforming them into a sweet (and still amazingly flavorful) freezer ready berry lover's dream! Little did I know at the time, all she really did was smash and sugar the already delicious berries...and just let their simple, God given taste shine through. But to my little girl mind...it was just the stuff of heavenly miracles! She'd pour them in the old style white square plastic freezer cups...and tuck them in some far, safe corner of the old chest freezer on my grandparents' back porch. And then...every trip we would take back to that farm in the Appalachian foothills throughout the whole next year, those little square freezer cups would one by one emerge (much to my delight)...to grace the tops of countless slices of birthday cake or top off after-supper bowls of vanilla ice cream. 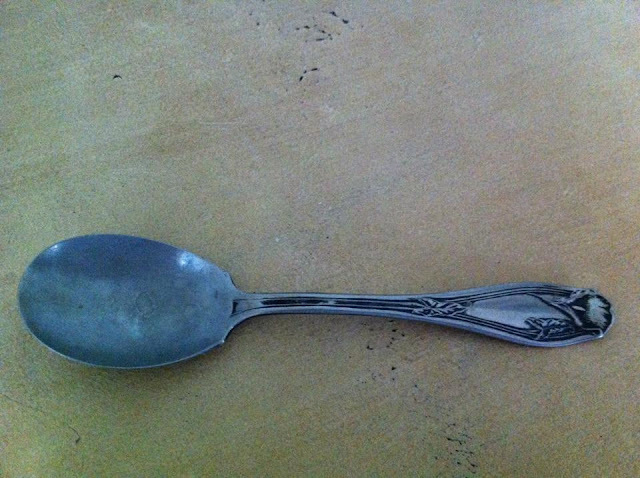 But my all-time favorite way to enjoy my mamaw's strawberries was all by themselves in one of the old green glass bowls she kept in the corner safe of her dining room, scooped up by one of her antique spoons...worn nearly paper thin and oh so sharp by all the years of serving hearty mountain fare to previous generations of kinfolk. One of Mamaw's paper thin antique spoons, perfect for scraping the last strawberries from the bottom of the bowl! Mamaw knew those strawberries were something I loved, so it never failed that she would look at Aunt Oh So Sweet near the beginning of any of our visits and say, "Did you get out Lorene some strawberries?" Aunt Oh So Sweet would place a freezer cup of sweetened berries in the refrigerator to begin defrosting...and I felt so special knowing that Mamaw loved me and wanted to share this special treat with me. Years later, when City Boy and I got married, we decided that a homemade dessert bar would be fun for our reception. Afterall, you can't go wrong with dessert! We asked family members and friends to pitch in by helping to bake and create the specially selected recipes. Included in the buffet, we served a pie I had won over City Boy's heart with on the first day we met, a peanut butter fudge that City boy had grown up eating every Christmas, and a cookie I had made for our first Valentine's Day together...along with several other treats. We did order a cake from a local bakery...but right away I knew I wanted to give it a more personalized touch to match the meaningful desserts on the dessert bar. It didn't take long for me to think about all those slices of birthday cake graced by Mamaw's amazing strawberries when I was a child. Right away, I knew that was what I wanted to have...a large bowl of Mamaw's strawberries to spoon over the slices of wedding cake! 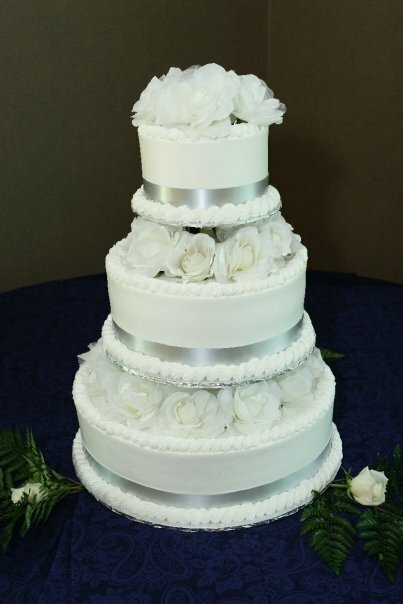 It was sentimental, delicious, and perfect for adding a homemade touch to a purchased cake. My mother remembered how Mamaw had made those wonderful freezer berries, and was kind enough to recreate the recipe for our special day. 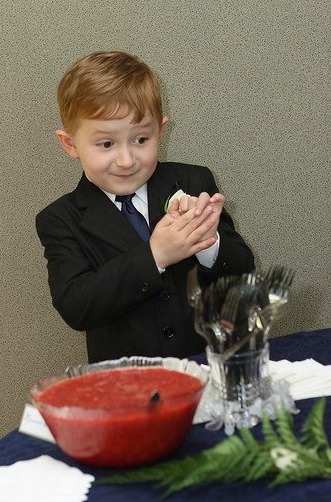 My nephew, and ring bearer, in front of Mamaw's Strawberries at our wedding. Can you tell he was excited for dessert?! 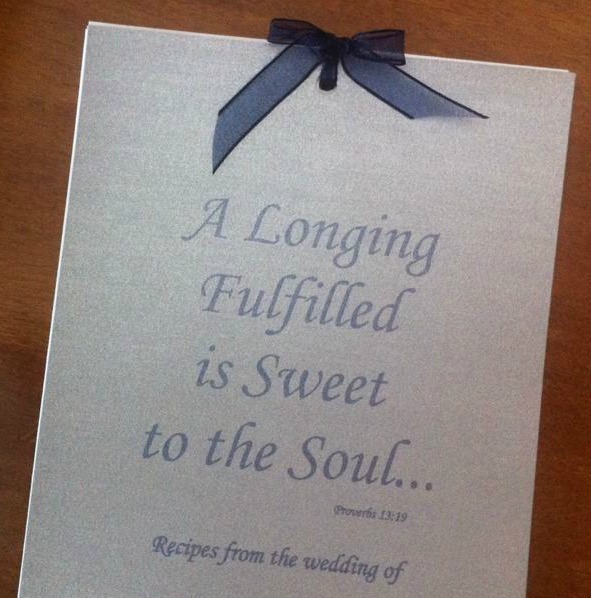 As a favor for our guests, we made recipe booklets with all the dessert recipes from our reception. And as a favor for all you Appalroot Farm readers...here is that very simple but special recipe for my Mamaw's Strawberries! 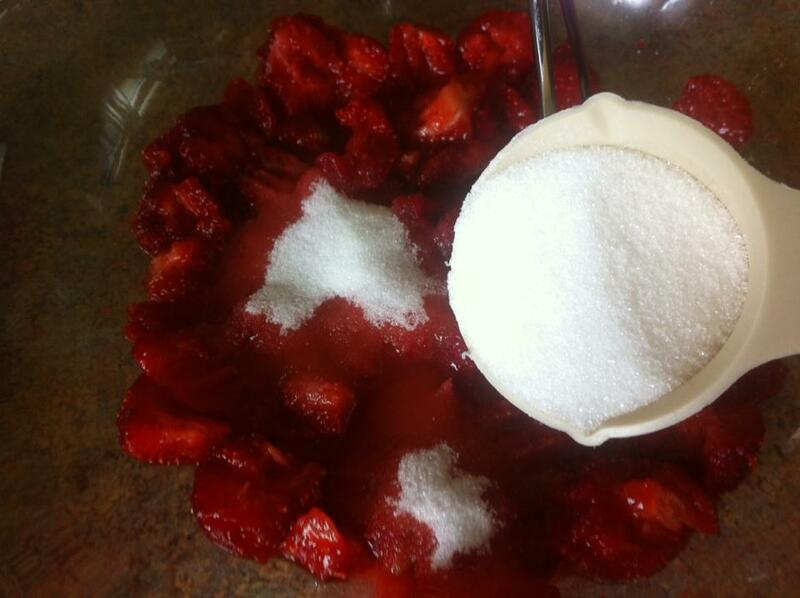 You only need two ingredients...strawberries and sugar. See, I told you it was simple, right? You can use store bought strawberries for this recipe...but if you really want it to have that extra wonderful flavor, find fresh, homegrown berries to use instead. It will make all the difference with flavor and with ease of smashing. First, wash and hull your strawberries. Then place them in a large bowl or cooker. Then use a potato masher to partially smash your strawberries. 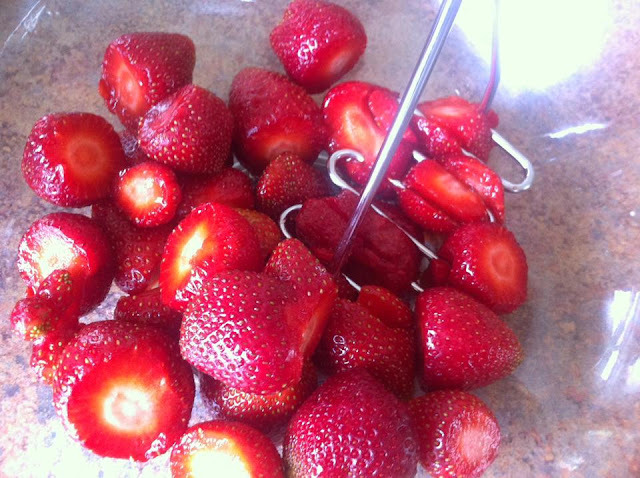 You do not want all the pieces of strawberries to disappear when you do this. 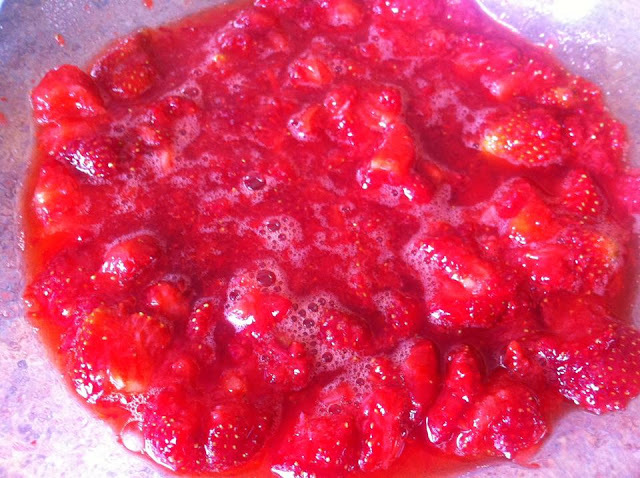 You want to mash the berries just enough to create some juice that surrounds hunks of berries. This is the finished consistency you want for your berries. Then, simply stir in the sugar. 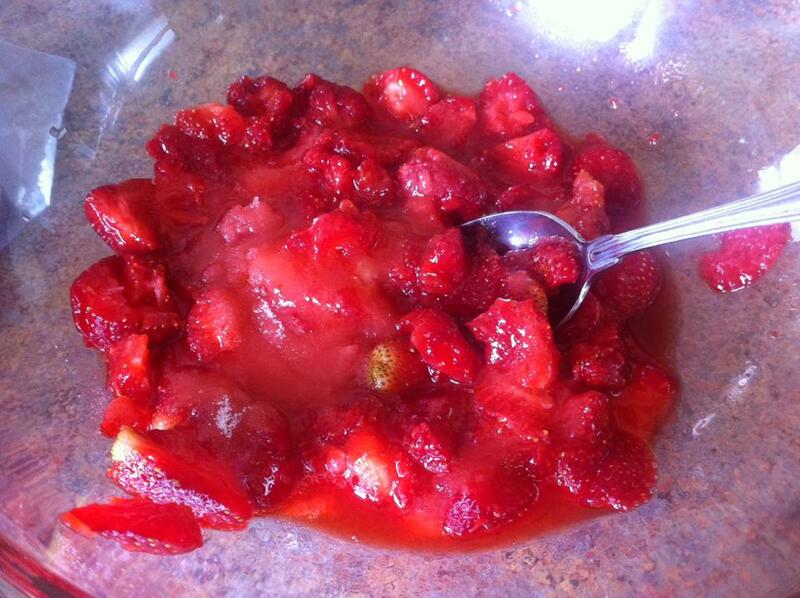 You can use anywhere from 3/8 to 1/2 cup of sugar, depending on how sweet you would like the strawberries. I used close to half a cup. Store the berries in the freezer and then place them in the refrigerator to soften and defrost, several hours before you plan to serve them. 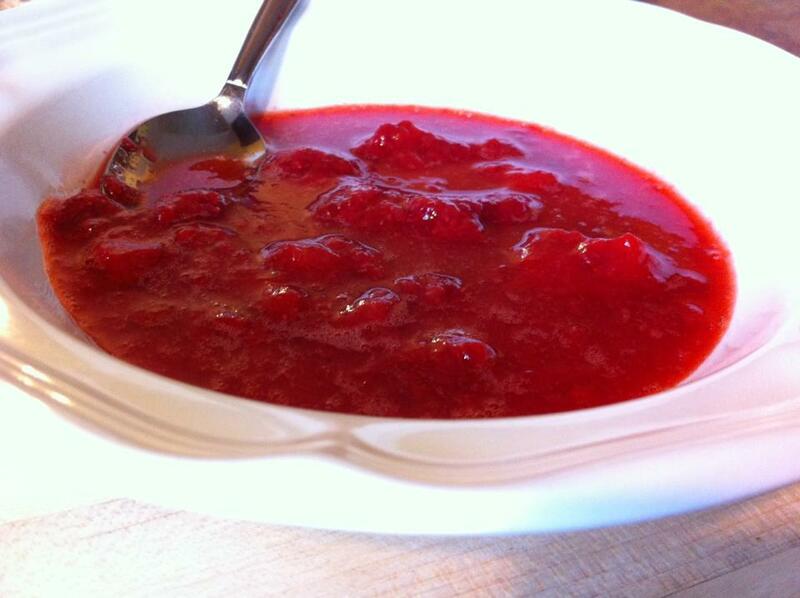 You can still serve the berries while partially frozen, as long as they are defrosted enough to be easily spoonable. 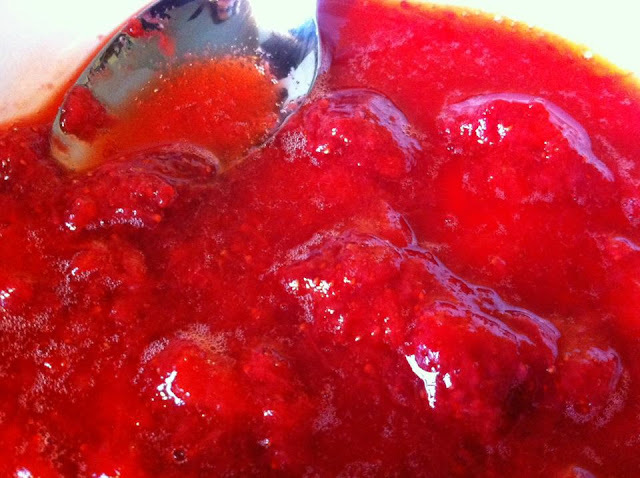 I hope you enjoy making this simple Appalachian heirloom recipe for yourself. The full directions are below. For a printable version, click here. 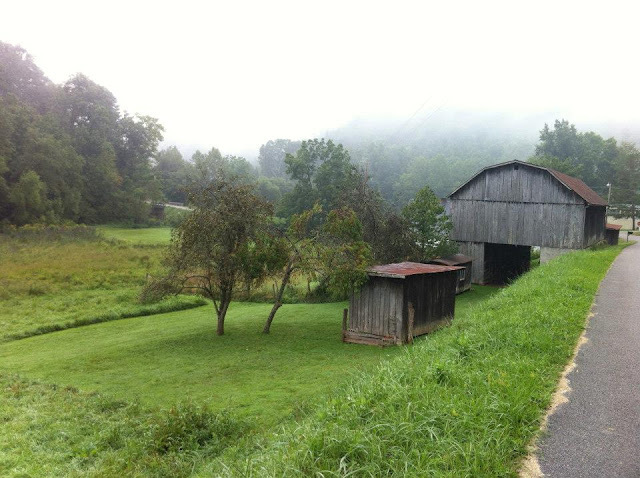 And I hope this series of wedding posts has inspired you to celebrate your Appalachian heritage. See you all back here soon at Appalroot Farm! Wash and hull strawberries. Place berries in a large bowl or cooker. Partially smash the strawberries using a potato masher, so that there is a sauce-like consistency but still intact pieces of berries as well. Stir in the sugar. Transfer to freezer containers or freezer bags and freeze. Place in the refrigerator to partially or fully thaw before use. 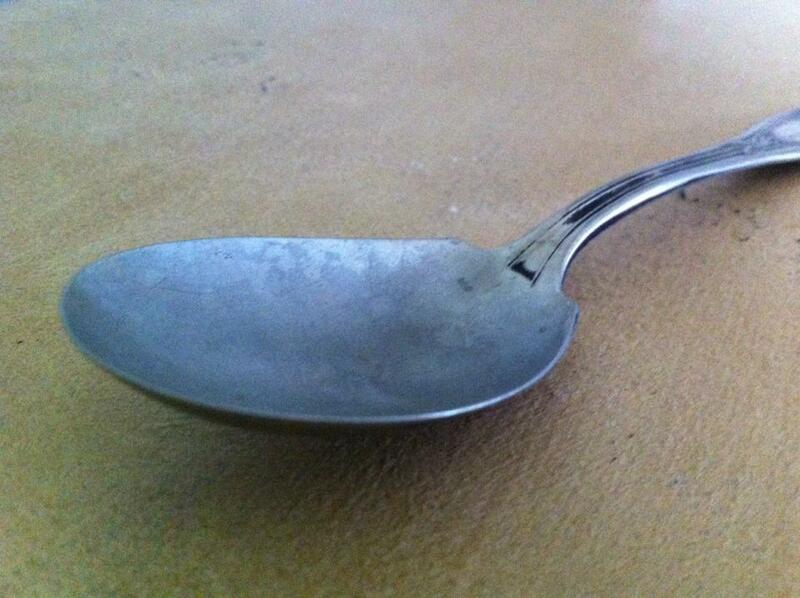 Serve plain, or spooned over cake, ice cream, or a dessert of your choice.